Teaching Languages in the Primary School provides a coherent overview of teaching and learning languages between the ages of 5 and 11, combining practical strategies for use in the classroom with engaging coverage of how to teach, informed by academic research and theory. This second edition was published in 2015. More examples of creative teaching and learning throughout. 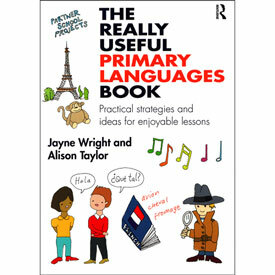 What is the background to primary language learning? What does language learning offer a primary school? How might I structure language learning in the Early Years Foundation Stage (EYFS)? How should I begin to offer language learning in KS1 and KS2? Where to next? How can I embed the language into the school day and the wider curriculum? How do I make sure I really challenge the older learners? How do I develop progression in the new National Curriculum? How do I know if the children are learning? How can I help them to progress smoothly to KS3? What does research tell us about the integration of languages into the curriculum? 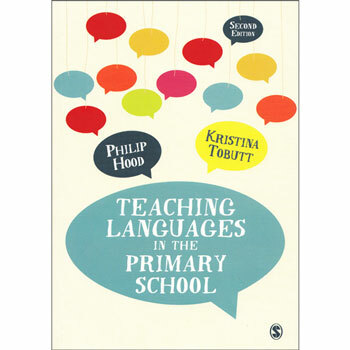 Teaching Languages in the Primary School is essential reading for all students studying primary languages on initial teacher education courses, including undergraduate (BEd, BA with QTS), postgraduate (PGCE, School Direct, SCITT), and also NQTs. 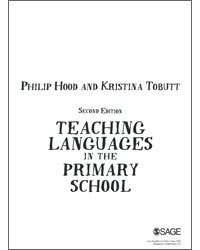 Click on the image below to download a sample chapter from Teaching Languages in the Primary School.